Living, feeling, touching, tasting and so on. Slow down, and breathe. Put work aside. Come to one of our events, where we bring people together, no matter position or rank. Be connected to inspirational leaders who’ll help you broaden your perspective on life by sharing their valuable experiences and thoughts. Learn new things. Hang with cool people. Light up your nights. CeleBright, Bright Talks, Borrels...we work hard and play hard. To us, work is important and so is having fun! A balanced life with good friends and good food nourishes your soul. Spread good vibes and good cheer. Join us in our monthly get-together! Embark on a transformative journey to up-level yourself. Get access to an array of tools that'll help you learn how to lead an engaging, happy, and fulfilling life. Live a life you'll love. Are you ready for this? 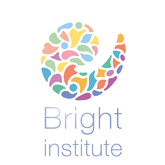 Stop by and learn more about our Bright institute! Develop, manage and execute your own social responsibility projects! 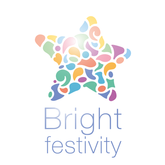 All Brighties are encouraged to give back to the community in any way they can. 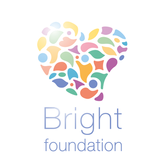 The Bright foundation was started by our Brighties to do their bit for society. Come on over to see what we've been up to. Explore the world of Bright society. Check out these happenings as an addition to your day-to-day working rhythm. The events are listed below. Did anything spark your fancy? Sign up, and drop by! We'll love to have you. La pizza vera, quella buona!